We believe traffic tickets are too expensive and charge you the least in California. If you still want to spend more time searching for a traffic school, be our guest. We believe you'll be back. Just beware of misleading ads from our competitors that like the ones below. 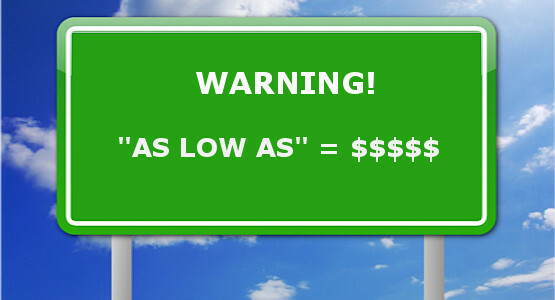 They often start with the deceptive words, "As low as." Advertised Price: Charges extra for your "Completion Document"
Note: Competitor charges an additional $6.95 for your "court completion document." We include your Completion Certificate for free. They don't tell you this until after you start the registration process. Watchout for what you're paying for! 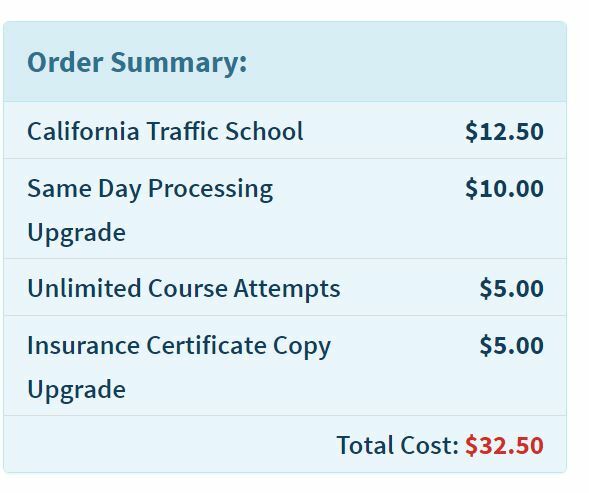 As of 2/10/2017, DMV.com adds upgrade to your account automatically and doesn't let you take them out! They don't tell you how much their course is either until you're well into the registration process. Note: DMV.com is a private company not associated with DMV.gov. Yes. They are tricky in more than one way! Check out one of their BBB complaints below!